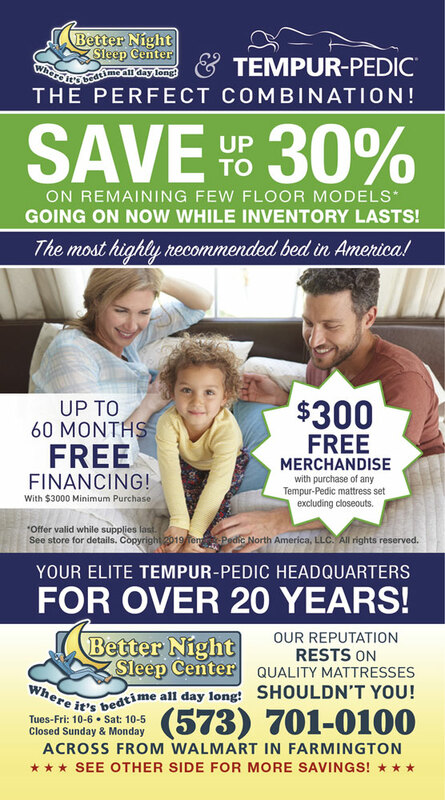 Save up to 30% on remaining few floor models as inventory lasts, plus get $300 FREE merchandise (w/ purchase of any Tempurpedic mattress set excluding closeouts). 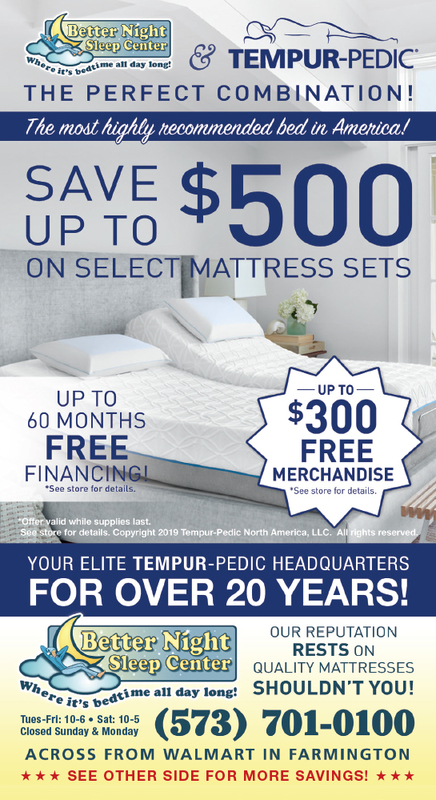 Or Save $300-$400-$500, up to $1000 on Sealy mattress set. The most recommended bed in America! Save up to $500 pm select mattress set. Save up to 50% on select models. Plus get up to $300 free merchandise. 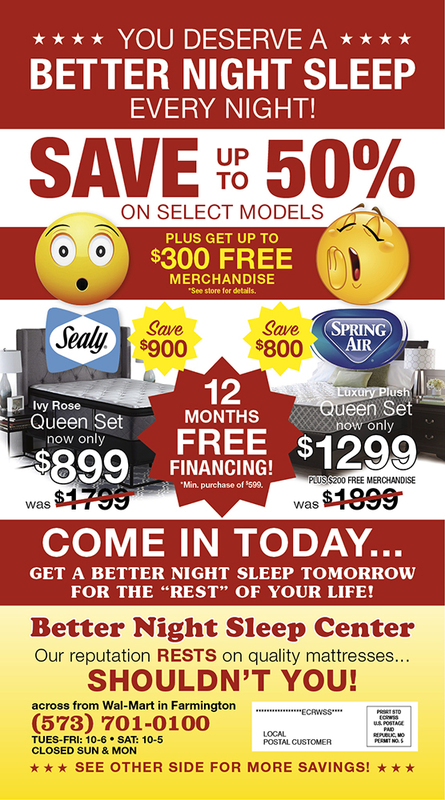 Don't miss this ONCE-A-Year opportunity to purchase a top quality mattress set at UNBELIEVABLE prices! From Tempurpedic, Sealy and Spring Hill. *Save up to 50% and $300 FREE merchandise! 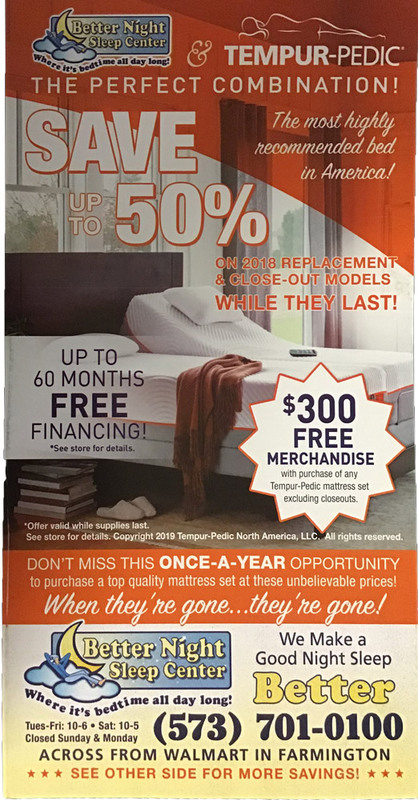 Up to 60 months FREE financing! Hurry in today and contact us for details. We make a good night sleep better!